USGBC National Capital Region would like to share a resource with its members: The Institute for Market Transformation (IMT) has released Putting Data to Work, a comprehensive toolkit that guides city sustainability leadership, energy efficiency service providers, utilities and building owners in effectively deploying building energy performance data to drive savings. Buildings in the U.S. consume so much energy that they account for more than one-quarter of all greenhouse gas emissions (GHGs), according to the Global Alliance for Buildings and Construction. In many buildings, this energy use and its associated costs and pollution could be cut by 30 percent or more through improved operations and use of existing technology. As a critical first step, cities are enacting benchmarking policies to track building energy and water use, encouraging building owners to analyze and compare building performance over time. Aiding in this process, tools such as USGBC’s Arc platform and the suite of data tools and standards from the U.S. Department of Energy (DOE), such as the Standard Energy Efficiency Data Platform and Building Energy Data Exchange Specification, are enabling the creation of valuable data that can drive better-informed business decisions and efficiency improvements. Partially funded by the DOE, “Putting Data to Work” is the culmination of a three-year partnership between IMT and the District of Columbia Department of Energy and Environment (DOE) and the New York City Mayor’s Office of Sustainability, as well as their partners, the District of Columbia Sustainable Energy Utility and New York City Energy Efficiency Corporation, to examine pioneering efforts in each jurisdiction and enable others to replicate their success in reducing building energy use. A report explaining ways that city-collected data can help identify and connect with high-priority buildings for outreach, as well as how to incorporate data into local climate and energy planning and ensure that high-quality data are collected and used. A resource list to help cities guide building owners to take their efficiency efforts to the next level after benchmarking, and a guide to help answer the critical question of whether energy efficiency policies and programs are having the desired impact. For utilities and energy efficiency service providers, methods for increasing program participation rates and lowering the cost of customer acquisition are shared. This includes a primer on the emerging uses of building energy data for utilities, a guide looking at how program administrators can use data to identify prospective customers and step-by-step guidance for engaging in conversations about energy data with building owners. Chris Anderson, LEED Green Associate, is an environmental study major and a senior at the University of California, Santa Barbara. The University of California Santa Barbara (UCSB) offers LEED Lab as a yearlong course with an eclectic mixture of undergraduate and graduate students. Every year, students in this class work toward certifying a building on UCSB’s campus according to the requirements of the LEED v4 O+M rating system. Thanks to its year-long course structure, the same students who start the course at the beginning of the academic year, are the ones who achieve the certification at its close. For the past three years, Brandon Kaysen, a Bren School alumnus and LEED AP, has coached students through the certification process of buildings across UCSB’s campus. After the Student Resource Building, Bren Hall is the second building to achieve a LEED v4 O+M certification thanks to LEED Lab. Near the conclusion of the immersive course, many of the students take an exam to earn their LEED Green Associate credential, a major stepping stone for a career in sustainability. 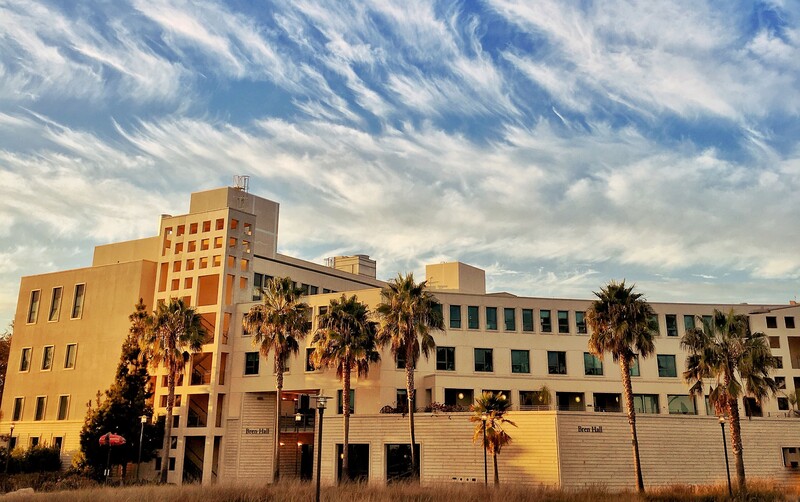 This year’s chosen building, Bren Hall, is home to UCSB’s prestigious Bren School of Environmental Science and Management and the environmental studies undergraduate department, the first program of its kind to be formed in the United States. In 2002, Bren Hall became the first laboratory facility to be certified LEED Platinum in the U.S. and the first LEED-certified building in the University of California system. In 2009, Bren Hall went a step further, also earning Platinum certification under the LEED for Existing Buildings rating system. To ensure efficient use of energy, Bren Hall was designed to harvest natural light, heating, and cooling. The office wing has no mechanical air conditioning, relying only on passive cooling via operable windows. The roof has its own photovoltaic system, providing about 10 percent of the building’s energy. Inside Bren Hall, the carpets, rubber flooring, wallboard, tiles, and furniture are made with high percentages of post-consumer recycled content. Cleaned and re-dyed carpet tiles saved up to 40 tons of carpet from the landfill, while restroom stall partitions are made from 90 percent recycled plastics. Altogether, Bren Hall is composed of 40 percent recycled materials. Bren Hall also has a landscape plan that is designed to minimize water use. In Southern California, the unpredictability of water availability is an integral feature of the climate. The landscaping is irrigated with 100 percent recycled water, delivered through an efficient drip system calibrated so that if an area receives precipitation, the system will compensate and reduce water allocation. LEED Lab is a unique, one-of-a-kind course that nurtures undergraduate and graduate students into green building professionals by allowing us an opportunity to work hands-on with a building to achieve LEED certification. Students in our class were assigned to a credit category and focused on achieving one or two individual credits. This established a realistic goal for each student to achieve by the time the project is submitted for review. In addition, though, students often help one another with their individual and group credits, so that by the end of the class, everyone has an extensive knowledge of each individual credit and category and the LEED reference guide. The information that I garnered was also put to the test when I took and passed the LEED Green Associate exam. I highly recommended LEED Lab for students who are interested in having a career related either to LEED specifically or sustainability generally. The class introduced me to the complexities of the LEED rating system, highlighted a diverse array of creative green building solutions, and drilled in the importance of documenting information pertaining to sustainable practices. I’m excited to take the information and experience that I obtained in LEED Lab and put it to work as I start a career in the flourishing field of green building. Shanghai, China – (18 January 2018) – Green Business Certification, Inc. (GBCI), the exclusive organization certifying all LEED projects worldwide, announced the opening of a new office in Shanghai today. Through rigorous certification and credentialing standards, GBCI drives adoption of green building and business practices through LEED and other green building rating programs. Andy To has been named managing director of GBCI North Asia. Andy To comes to GBCI China from CBRE where he was managing director of Asset Services for Greater China. He has more than 20 years of experience in the property and asset management industry with a particular focus on properties and facilities in Hong Kong, Shanghai, Beijing, and second-tier cities. He also worked at Kerry Property Management Beijing and Sino Estates Management Limited. GBCI’s expansion into China will help facilitate the growth and policy around LEED, the world’s most widely used green building rating system, and GBCI’s other sustainability programs in the China region as the country works toward meeting the many sustainable and green development goals in its 13th Five-Year Plan. The new office will also provide local, on-the-ground support to clients in the region and improve access to GBCI’s sustainability programs and resources. GBCI is the only certification and credentialing body within the green business and sustainability industry to administer project certifications and professional credentials for LEED, EDGE, PEER, WELL, SITES, GRESB, Parksmart, Investor Confidence Project and TRUE Zero Waste. By verifying strong, green business performance and recognizing individual expertise through accreditation, GBCI is driving market transformation that is economical, environmentally and socially responsible. 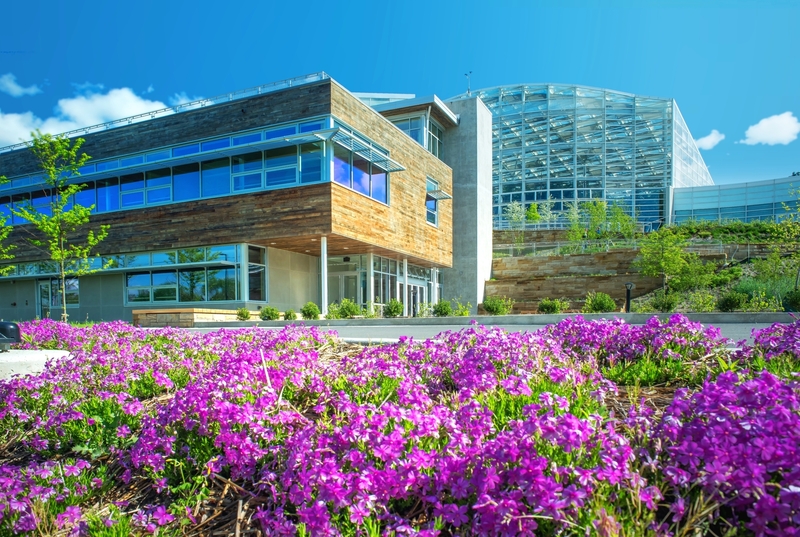 Since 2008, GBCI has exclusively delivered more than 37,800 LEED certifications to green building and community projects around the world and has established a world-class infrastructure to help advance the mission of the green building movement. Currently, there are more than 3,400 LEED registered and certified projects in China, comprising more than 212 million gross square meters of space, and more than 2,900 LEED professionals. To and his team will be responsible for the market development efforts of GBCI China and will ensure the advancement of LEED and other GBCI sustainability programs in the region. A third of the certified projects that participated in the SITES pilot phase also achieved LEED certification. See how a water use reduction pilot credit helped Starbucks measure their water savings. In April 2017, USGBC released a new pilot credit with the potential to change the way project teams document their water savings—allowing teams to earn more points while potentially saving both time and money. In the U.S., buildings account for 13.6 percent of potable water use. As our climate continues to change with the warming of the planet, it’s more important than ever to both use water more efficiently and reduces our potable water use. Now is the perfect time to reevaluate how your team documents water use reduction—there might be several additional LEED points you could achieve. 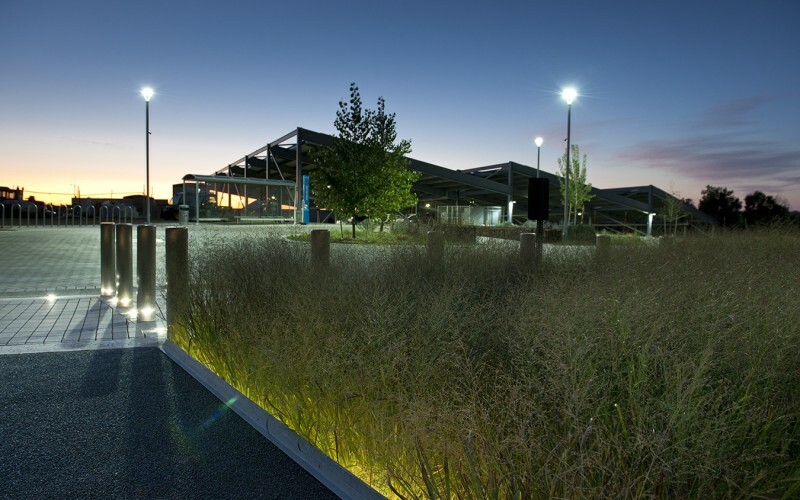 The LEED Building Design and Construction pilot credit Whole Project Water Use Reduction aims to reduce the indoor and outdoor water consumption of a project and associated site. Project teams can always document water savings through credits such as Rainwater Management, Outdoor Water Use Reduction, and Indoor Water Use Reduction, but depending on the building type and use, these credits may not currently address all the water use within a given project boundary. The pilot credit allows potentially significant water savings that previously went unrecognized, such as process water. In order to pursue this pathway, project teams must develop a water use baseline and create a proposed water balance model. USGBC and GBCI will also work with you before you even submit the credit, to make sure you’re headed in the right direction. Although this is a relatively new pilot credit available for all LEED 2009 and LEED v4 new construction and tenant fit-out customers to use, Starbucks, a leader in the sustainable retail and food service building industry, has already used this pilot credit on over 500 LEED-certified projects worldwide, with several others close behind. Their use of this new pilot credit exemplifies how USGBC and GBCI work together with customers to find solutions that encourage innovation in sustainability. Starbucks leadership has long recognized that process water use far exceeds fixture water use in stores, leading project teams to employ methods to save process water—even though they weren’t gaining additional points through their LEED volume program. Therefore, the company decided to work with USGBC on a cumulative calculation to account for the process water savings they had been able to achieve. As it happens, members of USGBC’s LEED User Group: Industrial Facilities were also working on an alternative solution to better address the high volume of water used in a manufacturing facility. Essentially, LEED was capturing all water savings in two separate use categories, but the Indoor Water Use Reduction credit required that both the fixture and process water categories meet the percentage savings required to achieve higher point thresholds. Starbucks’ process water savings are typically four times the savings achieved in fixture water, because of the much higher volume of use. This innovative new pathway therefore allowed projects to receive credit for the high volume of savings achieved in the process water category. With this process, Starbucks went from achieving 2–3 points to 11 points on most projects. This type of major increase could mean the difference in certification levels for a company seeking LEED credits. In addition, the new strategy has reduced the project teams’ overall documentation burden. Starbucks presented their approach to holistic water management at an education session exploring the new pilot credit at the recent 2017 WaterBuild Summit at Greenbuild Boston. If you’re interested in using this pilot credit on a project or have questions, please contact us. 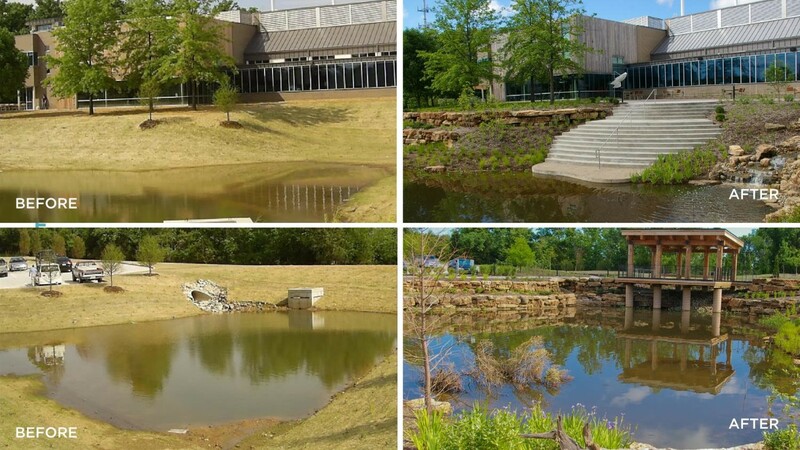 Our LEED technical specialists can work with you to meet your special water reduction needs. To suggest a future LEED pilot credit, please submit your idea online.